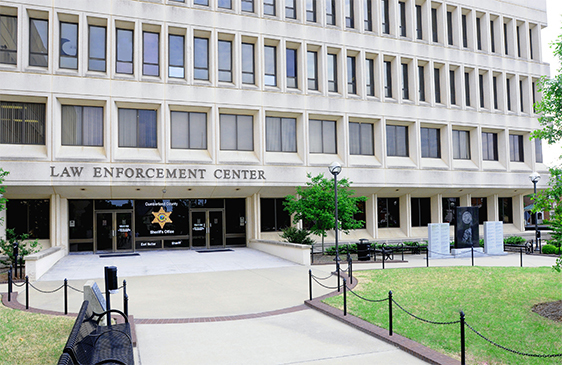 The Services Division of the Cumberland County Sheriff’s Office is responsible for providing support to all other Divisions within the Sheriff’s Office and support to the Cumberland County Court System. Under common law, the Sheriff is bound to provide security to the Cumberland County Courthouse and to provide prompt efficient civil process to the citizens of Cumberland County. Courthouse Operations and Civil Operations are part of Services Division’s organization. Some of the sections within the Services Division are divided into smaller groups. The Civil section is responsible for the supervision of Special Services/Gun Permits. Courthouse Operations is divided into two sections; Bailiffs and Courthouse Security. The Fugitive Section is responsible for serving warrants and Child Support Enforcement. The Sheriff’s Office custodial staff and building maintenance fall under the supervision of the Supply Officer.